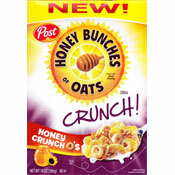 I tried 2 varieties of Honey Bunches of Oats Crunch O's: 1) Almond Crunch O's; and 2) Honey Crunch O's. Of the two, I narrowly preferred the almond version. Both were very good. There's not too much to say about these cereals if you're already familiar with Honey Bunches of Oats. They are made up of popular Honey Bunches cereals mixed with lightly sweetened Cheerios-esque O-shaped pieces. The loops really don't add much in terms of crunch, but they do make the overall texture of the cereal a touch more interesting that traditional Honey Bunches of Oats. If I were pressed to choose between these new cereals and regular Honey Bunches of Oats, I'd probably go with the originals. 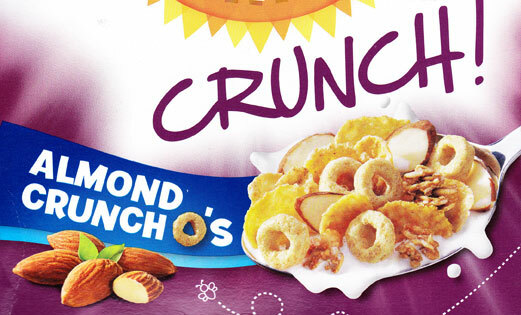 The "crunch o's" were fun for a change, but they didn't do much to improve cereals that are already pretty awesome without them. My recommendation: Give 'em a try if you find 'em on sale. Each serving of Almond Crunch O's has 130 calories, 2 grams total fat (0 saturated and 0 trans), 0mg cholesterol, 160mg sodium, 26 grams total carbs, 2 grams dietary fiber, 7 grams sugar and 2 grams protein. 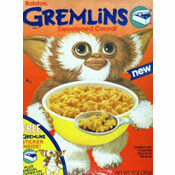 The first 4 ingredients listed on the side panel are corn, whole grain wheat, sugar and oat cereal. Each serving of Honey Crunch O's has 130 calories, 1.5 grams total fat (0 saturated and 0 trans), 0mg cholesterol, 170mg sodium, 27 grams total carbs, 2 grams dietary fiber, 7 grams sugar and 2 grams protein. The first 4 ingredients listed on the side panel are corn, whole grain wheat, sugar and oat cereal. The $0.00 price below indicates that samples of the cereals were provided to us by the manufacturer. 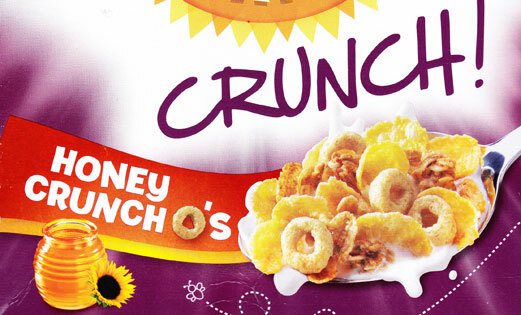 What do you think of Honey Bunches of Oats Crunch O's? Haven't seen them yet in Saginaw, Michigan. Sounds good though. Would like to try.